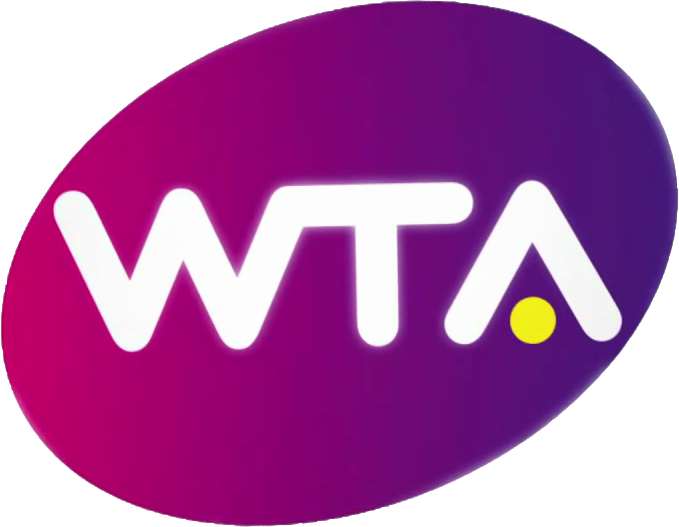 Following the Czech Republic’s 3-2 victory over Russia in the Fed Cup final, the tennis season came to an end for hundreds of female players on the WTA Tour. Barring the few with minds on ITF events during the winter, the rankings which came out on November 7th will be the number they start at in 2012 and are the clearest indication of how players have progressed during the last year. Here are some of the winners and losers of the 2011 WTA Tour. Petra Kvitova (#34 to #2): In a remarkable season capped by the Czech’s two singles rubber victories in her country’s Fed Cup final win, the 21-year-old won Wimbledon and the WTA Championship crown along with another four titles. Sabine Lisicki (#179 to #15): Going into the year on the back of a serious ankle injury, the German didn’t really prosper until the grass court season. After winning the Aegon Classic in Birmingham she went to Wimbledon and beat French Open champion Li Na en route to a semi-final place. Irina-Camelia Begu (#214 to #40): The Romanian’s breakthrough came in Marbella where she lost to Victoria Azarenka in the final of the Andalucia Tennis Experience. She reached her second international final in Budapest and found success on the ITF circuit to claim a top 50 place. Christina McHale (#115 to #42): Finished the year in her highest ever ranking position after the 19-year-old put in solid performances throughout the season which included a straight sets victory over Caroline Wozniacki. Petra Martic (#144 to #49): The Croatian started the year knowing she’d been in the top 100 before and quickly established herself back amongst the big names and into the top 50 for the first time. Mona Barthel (#208 to #67): Lisicki isn’t the only young German to rise significantly in the rankings. With the country now having her, Andrea Petkovic, Julia Goerges, Angelique Kerber, Kristina Barrois and Barthel in the top 100 their tennis status looks healthy again. Irina Falconi (#217 to #80): The 21-year-old American had her best season on tour at Grand Slam level, making the first round of the first three and the third round at her home major to earn a solid place in the top 100. Heather Watson (#176 to #92): At one point, the young Brit looked like being the second-highest ranked player from the UK before Anne Keothavong’s late surge. The 19-year-old will be pleased to have broken the top 100 after reaching the second round of the French Open and several international quarter-finals. Alexandra Cadantu (#378 to #96): Romanian tennis is also on the up. With six players in the top 100 including Begu and 20-year-old Cadantu just scraping in following a high climb thanks to a successful ITF campaign. Sloane Stephens (#198 to #97): Being an American helped during the US-leg of the tour as a quarter-final run in Carlsbad and a third round loss to Ana Ivanovic at the US Open makes the 18-year-old the youngest player in the top 100. Anastasia Pavlyuchenkova (#21 to #16): Reached the top 20 early on in the year but indifferent end-of-season form prevented her from pushing on to a top 10 place. Bojana Jovanovski (#71 to #65): After going into the season as the youngest player in the top 100, she entered the top 50 twice but couldn’t solidify a place and, had it not been for her win over Alona Bondarenko in October, could have finished outside the top 70 again. Alize Cornet (#78 to #89): Having reached the fringes of the top 10 in 2009, she couldn’t get back to those heights in 2011 and dropped 11 places. Despite great performances on the big stages, a string of first round exits mid-season proved her downfall. Coco Vandeweghe (#114 to #127): The 19-year-old American broke into the top 100 this year and had been there for much of the season. However, three successive first round exits at the end put her behind her 2010 final ranking position. Aravane Rezai (#19 to #113): France’s number two player coming into the year never recovered from the controversy surrounding her Australian Open campaign in January. After that point, the 24-year-old slumped to finish outside the top 100 for the first time since 2005. Melanie Oudin (#65 to #139): Winner of the breakthrough award in 2009 following a quarter-final run at the US Open aged 17, the now 20-year-old American had a season to forget this year. The former top 50 player couldn’t get back to that level and dropped outside the top 100, ironically during the US-leg of the tour. Agnes Szavay (#37 to #256): The 22-year-old former top 20 player suffered a huge setback at the beginning of the clay court season as she was hindered by a back injury. She then missed the rest of the year in order to recover from the career-threatening problem. Polona Hercog, Rebecca Marino, Simona Halep and Sorana Cirstea all rose to higher places in the top 100. Yulia Putintseva, Alison Van Uytvanck and Monica Puig all reached the top 300 after moving on from their junior careers. Kazakhstan’s Galina Voskoboeva, 26, rose a staggering 474 places to return to the top 100 and make her highest ever final position of #58. Laura Robson and Caroline Garcia both secured top 150 places with Robson now the youngest player in the top 150 at 17 years of age. For a full list of the official 2011 year-end rankings click here. Jiri Vesely showed why he is the world number one and all but guaranteed his place there in the year-end rankings thanks to a second Grade A title of the year at the Osaka Mayor’s Cup. The 18-year-old became the first Czech player to win the event after being taken to three sets by Lucas Pouille. He’s now finally added to the Australian Open crown he gained in January having lost in the US Open final. It proved to be one step too far for Frenchman Pouille, who had beaten second seed Luke Saville amongst other seeded players to get to the final. The pair had only met on one other occasion, with Vesely recovering from a first set loss to triumph on the clay of last year’s Banana Bowl. This year on hard court, Vesely won the opener but costly mistakes in the second set meant the world number 131 levelled the scores. An early break in the decider let the top seed in and he punished his opponent clinically to take the match 6-2, 2-6, 6-1. It was a good day all round for the Czech as him and partner Kaichi Uchida also took the boys’ doubles crown after a rain delay on Saturday postponed the match. They eventually defeated Luke Saville and Andrew Harris 1-6, 7-5 [10-4]. For the second year running a Japanese finalist lost out in the girls’ event. Miho Kowase couldn’t stop Saisai Zheng from winning in 2010 and Makoto Ninomiya suffered the same fate against Poland’s Zuzanna Maciejewska. Seventh seed Ninomiya went into the match as favourite given her higher ranking position and support from the home crowd but 12th seed Maciejewska wasn’t overawed. It took her a while to get going, the first set going to a tiebreak which she scraped 7-5 but after that she ran riot to win 7-6 (7-5), 6-1. She is the first Polish champion at the Osaka Mayor’s Cup after going one better than Aleksandra Olsza’s runner-up spot in 1995. There was, however, some joy for the Japanese audience as home players Mami Adachi and Eri Hozumi edged compatriots Miyu Kato and Riko Sawayanagi 5-7, 7-5 [10-7] in the girls’ doubles final. Last year saw an all-American final in the boys’ US Open juniors as Jack Sock prevailed to take glory in his home tournament. This time there were 16 American players out to claim the title previously won by Andy Roddick, Stefan Edberg and Pat Cash. Round 1: Home advantage certainly helped in the opening round of the boys’ singles as several upsets involving US players took place. Wildcard JC Aragone beat eighth seed Mate Pavic, Mitchell Krueger defeated seventh seed Dominic Thiem and Alexios Halebian saw off fifth seed Thiago Moura Monteiro to join fellow American Bjorn Fratangelo (3) in round two. The biggest shock of the round came at the bottom of the draw as Czech Adam Pavlasek won in straight sets against Wimbledon winner and second seed Luke Saville. Andrew Whittington (11), Patrick Ofner (12) and Jeson Patrombon (16) were the other casualties of note. Round 2: In a much quieter round the only big names to fall were that of low-numbered seeds Matias Sborowitz and Joao Pedro Sorgi. The number of Americans was slashed from six to two though as only Bjorn Fratangelo and Alexios Halebian came through their matches. Luke Saville’s conqueror also recorded a stunning double bagel victory over Chilean Gonzalo Lama to reach the last 16. Round 3: The biggest match of the third round was between third seed, French Open champion and home favourite Bjorn Fratangelo against 13th seeded Brit Oliver Golding. After winning the first set 7-5, Golding was forced into a decider after Fratangelo won the second 6-3. The final set produced the same scoreline but this time in the favour of Golding. However, America was to have its revenge over the British as Alexios Halebian overcame Wimbledon finalist and ninth seed Liam Broady in three sets. The success for the folk across the pond prevailed though as George Morgan and Kyle Edmund made it three Brits in the last eight. Fourth seed Hugo Dellien also fell to Egyptian Karim Hossam. Elsewhere, top seed Jiri Vesely continued his imperious form by reaching the quarter-finals having only lost 11 games in the tournament while Luke Saville’s successor Adam Pavlasek joined Filip Horansky (6) to make up the last eight line-up. Quarter-finals: Australian Open champion and world number one Jiri Vesely took on the last surviving American in the draw Alexios Halebian and despite struggling to a 7-5 first set win, the Czech killed off the hopes of a home winner at this year’s US Open boys’ event. Brit Kyle Edmund won a comfortable match over fellow unseeded professional Karim Hossam to set up a semi-final with Vesely. His compatriots Oliver Golding and George Morgan won their quarter-final matches after losing the opening sets. Thirteenth seed Golding defeated his higher ranked opponent Filip Horansky (6) and tenth seed Morgan beat plucky competitor Adam Pavlasek to guarantee there would be at least one British player in the final. Semi-finals: In the all-British clash between Oliver Golding and George Morgan, it was Golding who emerged victorious but it was a real contrast between the two sets he won. Golding raced to a 6-0 first set win and many would have thought the match was over with three match points at 5-4 in the second. Strangely, the set went into a tiebreak which Morgan lost 7-2 and meant Golding was the first Brit in the US Open final since Andy Murray in 2004. It wasn’t to be an all-British final though as Jiri Vesely crushed Kyle Edmund 6-4, 6-2 to reach the final without dropping a set in the whole tournament. Final: Despite facing the number one seed, two rain delays and losing the first set, Oliver Golding managed to win his first junior title since 2009 by overcoming Jiri Vesely 5-7, 6-3, 6-4. Golding struggled to hold serve in the opening exchanges and saved numerous break points at 2-2 and 4-4 before Vesely took his tenth opportunity to claim the first set. At 5-4, the Brit did have four set point chances but failed to convert any. But he made up for it in the next set though by breaking the Czech early on and holding to force a decider. In a match of very little unforced errors, the pair couldn’t be separated until the seventh game of the third set when Golding made a decisive break to become the first Brit since Andy Murray to win the US Open boys’ crown. German pair Robin Kern and Julian Lenz won the boys’ doubles after beating Maxim Dubarenco and Vladyslav Manafov 7-5, 6-4. The full drawsheets for the boys’ singles and boys’ doubles are available via the US Open website. After beating Victoria Azarenka in the third WTA Premier Mandatory event of the year, Petra Kvitova will next be seen on the clay at Prague’s $100,000 ITF tournament. Instead of facing opposition such as Vera Zvonareva or Australian Open finalist Li Na, the Czech will play a first round tie against Anne Keothavong and come across several players around the brink of the top 100. Is this really going to aid the new member of the world’s top ten? Yes it’s her home tournament, but you can expect fellow Czechs Klara Zakopalova (world #34) and Lucie Hradecka (#45) to partake as these ranking points mean more to them. If Kvitova is going to progress then surely she must continue playing high-class opposition whilst on her best form since the semi-final run at last year’s Wimbledon. That would be at the Internazionali BNL d’Italia in Rome where Francesca Schiavone, Sam Stosur and other high-quality clay court specialists will be present. Plus the expectation of her to easily win the tournament in Prague could be off-putting. Should she somehow lose, it could affect her confidence. But there are some advantages for her however. She gets to enjoy the warmth of her home crowd who probably knew very little of her this time last year. It should be a gentle experience for her going into the French Open which could aid her performance in Paris. On the other side of the court in the Mutua Madrid Open, Azarenka lost but will find herself at number four in the world after three wins and a final appearance from her last four tournaments. With both currently being 21, they have a great chance at winning a Grand Slam in the future. The worrying thing is the lack of a crowd at the final. I watched it on Eurosport and it took something out of the occasion. It felt like a first round tie against two mid-50 ranked players rather than two of the WTA’s best athletes. One can only hope the crowds pick up for the rest of the tournaments no matter who is playing the final but particularly so as these two could be in a lot more finals to come. The lack of atmosphere did allow us to hear Kvitova’s trademark celebratory scream; just another part of the Mutua Madrid Open final highlights. From the Williams sisters to the Bryan brothers, tennis siblings are becoming as frequent as Novak Djokovic’s 2011 wins. Along with that aforementioned foursome of multi-talented singles and doubles players, the Radwanska’s and Murray’s have also emerged. And with today marking the 19th birthday of another sister combination it’s a fitting time to introduce Czech twins Karolina and Kristyna Pliskova. Hailing from the small town of Louny, the pair currently sit either side of the top 200 fringes but neither has yet broken into the top 100. Although twins, it’s pretty easy to tell them apart. Karolina stands one inch taller with brunette hair (as opposed to blonde), has a tattoo on her left arm and leg (Kristyna only has one on her wrist), and uses the opposite hand to her lefty sister. Their record at junior level is pretty sporadic. Although Karolina won the Australian Open juniors last year her only other successful Slam run was at the quarter-finals of the US Open juniors. Early first and second round defeats at the French Open and Wimbledon respectively are a stark contrast to her achievements in Melbourne where she defeated young Brit Laura Robson 6-1, 7-6 (7-5) in the final. Kristyna lost in the semi-finals that year to Robson but did win a junior Slam at Wimbledon six months later. First and second round defeats for her at Roland Garros and Flushing Meadows show how typically in sync the Pliskova sisters are but with five ITF titles to her name and a top 200 spot, Karolina just edges out Kristyna. But just in case you were wondering, they have played each other before; Kristyna coming out on top 5-7, 6-2, 6-0 for her only ITF victory. No doubt there is a long way to go before the duo begin registering on the public’s consciousness. 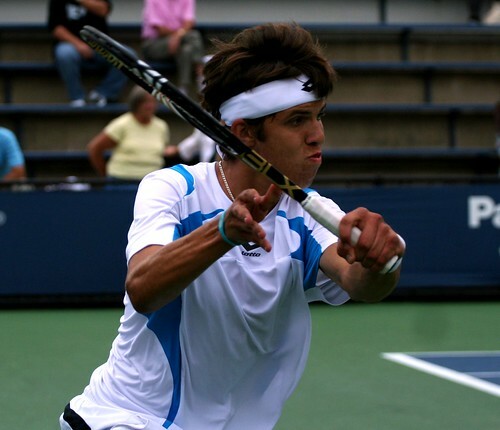 Although 19 is a young age on the surface (pardon the pun), the players who make it to the top have often already reached great heights on the professional circuit by that time. And any suggestions that a career in doubles might suit better is squandered by their dismal ranking and failure to make an impression on the ITF circuit. Neither have made an appearance at a professional Grand Slam thus far but this year they’ve both abandoned the juniors to improve on the senior tour. Written on their joint website, both aim to make the top 100 this year in order to appear in more Grand Slam tournaments. Being the same age means there’s likely to be a pattern in their progression so a career in doubles could well materialise if improvements are made. Don’t be fooled by the introduction though, a career anywhere to the level of the Williams sisters or the Bryan brothers is pretty much out of reach but they could certainly make a mark on the WTA tour in the future.